As many of you know, LG recently sued Sony over violating a patent in the PS3. 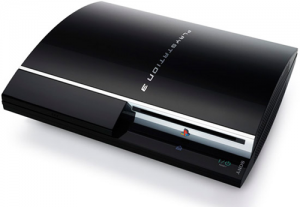 During this process, LG was able to have 300,000 shipments of the PS3 stopped in Europe. After a speedy trial, a decision was made. All 300,000 PS3s will now returned to Sony. They will be able to be shipped to Europe and Sony is allowed to continuing shipping. Additionally, LG will be forced to pay Sony 130,000 euros for court fees. LG has one day to return the PS3s. Each day they are late, they will be fined an additional 200,000 euros. Now that the dispute for halting the shipments is over, stay tuned for additional information on the result of the patent violation. Sony has been pretty aggressive in their advertising for their Playstation Move. Finally years later, Microsoft and Playstation will have caught up with the Wii’s technology. You can see Sony’s Anti-Kinect website here, and you can watch the Playstation Move Kills Mii below. After reporting of a possible rumor in regarding LittleBigPlanet 2, it has been reported that LittleBigPlanet 2 will be revealed in the next issue of GameInformer. The Shill: LittleBigPlanet 2 Announced? “There are no plans to create a new LittleBigPlanet game anytime in the near future”. Well…guess everyone wasn’t in on that “LittleBigFact”. You can view the review, when it’s ready, at the following link: review of the Sony Vaio VPCZ1190X. An update will be posted on the front page here as well.